Montréal (Québec), August 20, 2013.- Reigning Canadian and North American Rally Champions Antoine L’Estage (of St-Jean-sur-Richelieu, Qc) and Nathalie Richard (of Halifax, Nova Scotia) will contest the final two rounds of the Rally America series in an Open Class 2010 Subaru Impreza WRX STI, via support from Subaru and John Buffum’s Vermont-based Libra Racing shop. 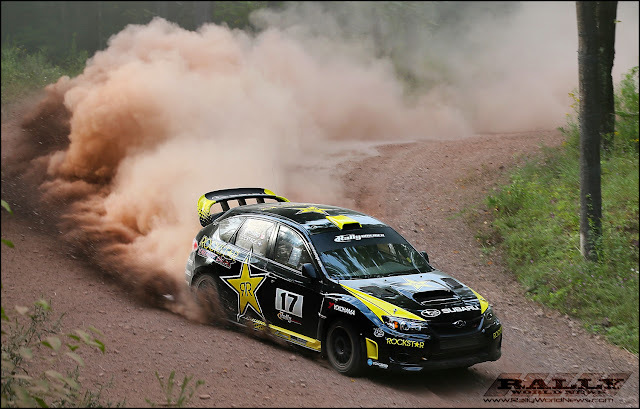 The opportunity arose to drive a Subaru at the final two rounds and Subaru stepped up with support to make it happen. 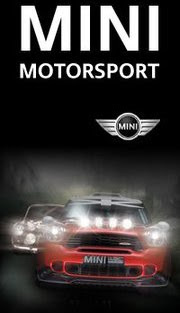 We’re grateful for their assistance and I’m really looking forward to driving this car. We’ve had really great seasons for the past few years with amazing results. This year started off with a win at the SnoDrift Rally in January and we were hoping that it was a sign of another great season ahead. That didn’t happen in the Rally America series but we always worked really hard and we’ve now been presented with this great opportunity to finish off the year in a competitive car with the help of Subaru “ he adds. L’Estage will drive the Rockstar Subaru WRX STI in the last two rounds of the 2013 Rally America series. The car will be serviced by John Buffum’s Libra Racing with technical assistance from Subaru technical-partner Vermont SportsCar. 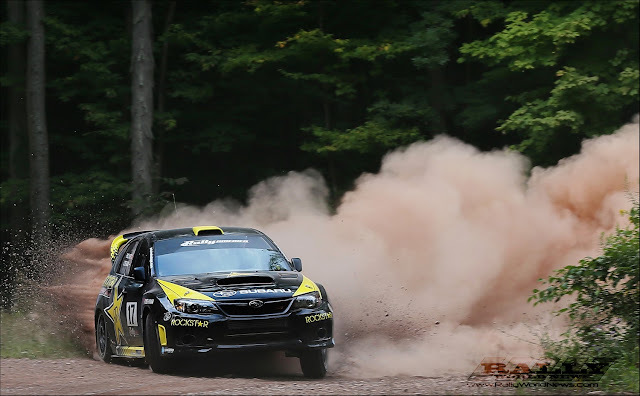 The Ojibwe Forests Rally, based out of Detroit Lakes, Minnesota, is making a return to the Rally America calendar after a several year absence. L’Estage and Richard will be competing in the 2010 Subaru Impreza WRX STI for their very first time and both are eagerly looking forward to the opportunity « It’s been somewhat of an anomaly for us to encounter so many challenges in one championship, in the same year. 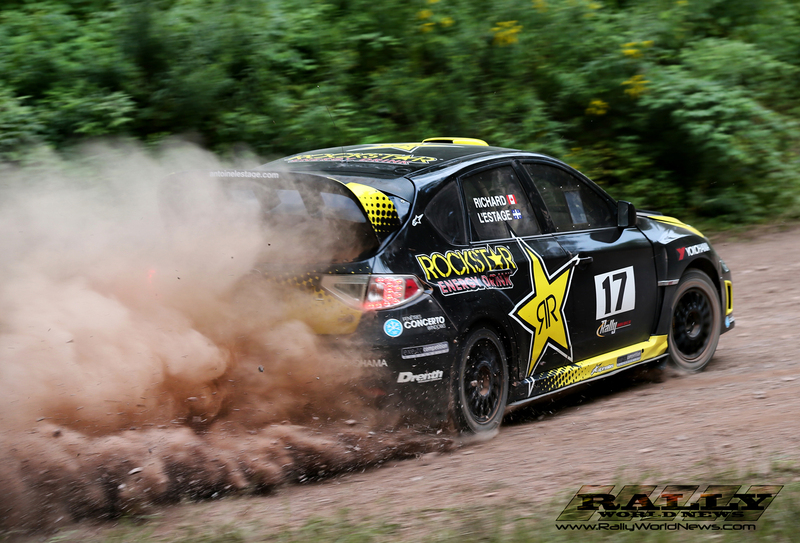 We won the last Canadian event at the end of June and we’re now hoping to finish off the Rally America series on a high note » shares Rockstar Energy co-driver Nathalie Richard. The duo currently leads the 2013 North American Rally Cup and good results at these last two events would help increase their lead.